Can you believe this one? 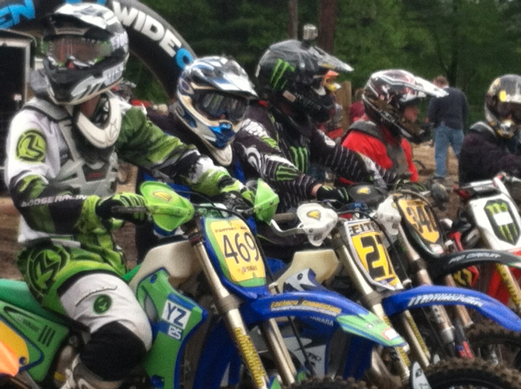 I was at my husband’s dirt bike race in Baldwinville, MA and ran into three different groups of horse people. Now you may be asking, well how did you know they were horse people? And I would answer, aren’t we everywhere? To be honest, they all approached me. You see it all happened because we packed up my three-horse trailer and loaded it with all his dirt bike gear and things for camping and headed off to the race. We got a few looks as we drove into the race grounds with a horse trailer, but it carried everything we needed and then some. It also offered my husband a place to gear up. As we parked and unloaded our stuff, two girls and a great big German Shepherd came over to chat with me and my dog, Padmé. Our dogs were sniffing each other’s noses while we chatted. She was telling me how she was going to be competing in a dressage event with her Pony Club the following weekend. She was so excited and you could see how proud she was with the huge smile she had on her face. As our conversation was coming to a close I wished her luck for her show and she left grinning ear to ear. 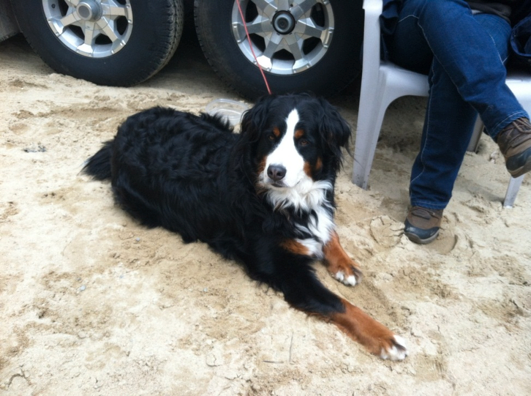 The second man I spoke to was so excited to see a Bernese Mountain Dog. He pointed at Padmé and came right over to greet her. 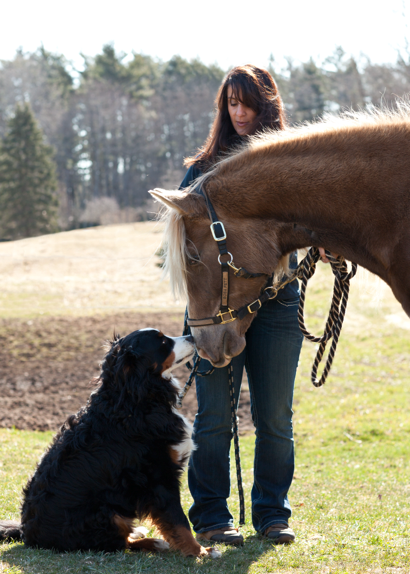 He said he has horses and his farrier had Berner puppies and he was going to pick his up this Tuesday. He said they are his dream dog and couldn’t wait to pick his up. He was super excited as he petted Padmé and then quickly left to see the races. I thought to myself, wow another horse person, funny I wasn’t expecting that. I guess we really are everywhere. Who knows, maybe we will start to see more horse trailers rolling up to dirt bike racing events. After this weekend, one might say that there is some kind of attraction between those who love horses and those who love horsepower. I know for our family that’s just how we roll.